on thousands of Kindles across North America and the UK! Yes, I did have nearly 50 pre-orders from eager readers across the pond. Paper versions will ship today and the audiobook should be available in late August or early September. Don’t forget to join my mailing list. I just uploaded an exclusive Black Flagged short story, available for download to members of the mailing list. Other perks include exclusive sneak peeks at upcoming work and exclusive discounts. Sign up here! Started to read it this morning. I loved the 1st chapter!! What happened to Joseph Morton? My only access to novels is thru audiobooks. 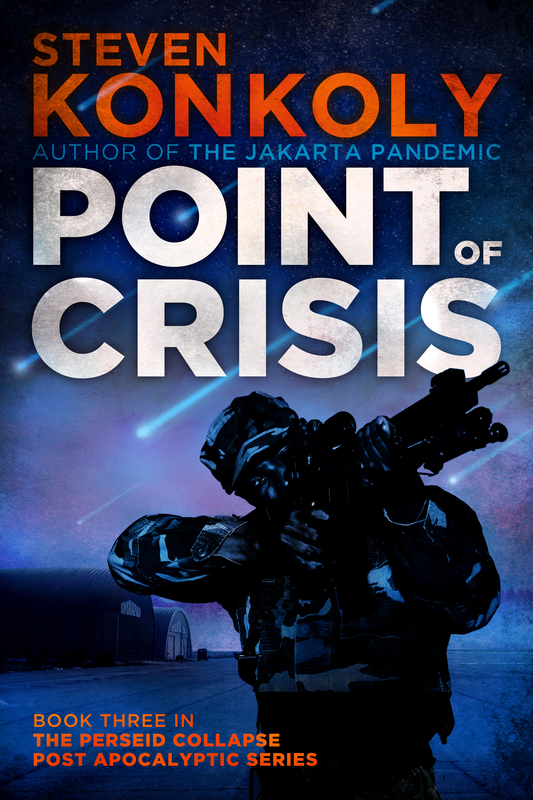 Mortan nailed alex fletcher in the Jakarta Pandemic. I’m listening my way thru the series for the 3rd time. (And, what happened to Fletcher’s sarcastic under-his-breath comments conveyed so well by Morton. I miss both. I’ll keep buying the books as they get released. But, Jakarta was perfect — story and audio delivery. Just my 2¢. Regardless, thanks for the great stories. And, keep ’em coming. Chris, long story short, I decided to foot the production costs of follow on books in the series, instead of entering into an arrangement with a studio producer. Producing audiobooks can be expensive, so the studios usually demand a substantial cut of the net proceeds. Joseph Morton cost nearly double what I paid for production of Perseid. I agree, his under the breath comments were classic, and I do miss them. Thanks for your continued listening! Book 3 in the series should hit the shelves shortly.